Abstract Fiber's new club offerings are ready to go! We've changed our clubs so they are all new for 2014! The first offerings are in budget-friendly 4 month bundles promising new yarns new colors and never before offered fiber blends. Join us as we explore new fibers in the new year! Sign up now at Abstractfiber.com. All the staff at Bar-Maids is wishing you an exciting and safe New Years! To finish off 2013 in style, Bar-Maids is offering an exclusive discount to Knitmore Girls listeners of 20% on orders placed between now and January 5, 2014. Do you have your Lo-Lo on? Take advantage of this exclusive offer by entering the coupon code KNITMOREGIRLS at check out. The code KNITMOREGIRLS must be in caps. 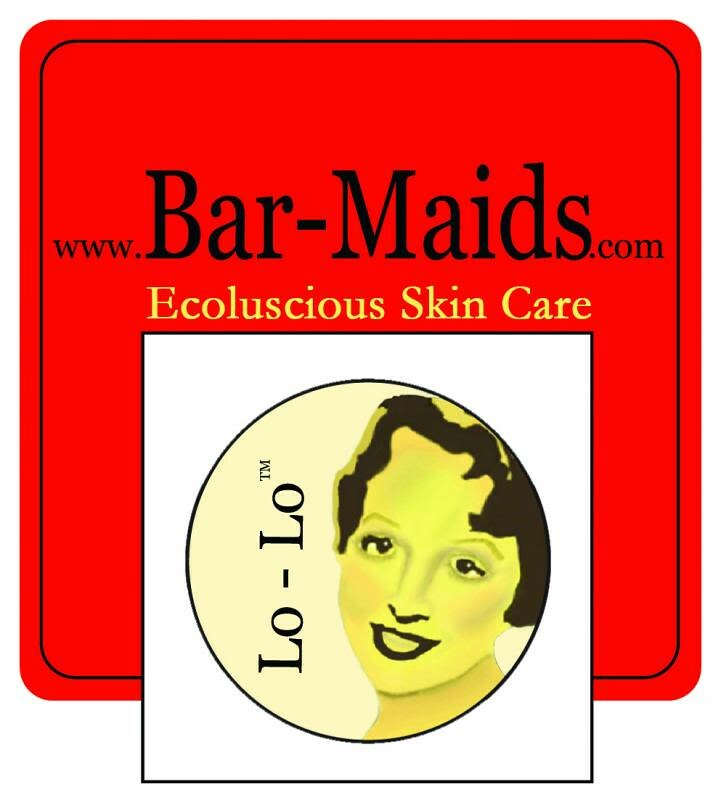 Yes, you heard that right, exclusively to our listeners, Bar-Maids is offering 20% off your total order when purchased at www.Bar-Maids.com between now and December 31, 2013. Use coupon code (all in caps): KNITMOREGIRLS. Gigi has been knitting on the Lorelei. Jasmin finished her We Need a Little Christmas sock from Lollipop Yarn for #operationsockdrawer . Jasmin mentions Savvy Girl Melanie, and Joan of Lollipop Yarn . Gigi knitted two Button Tab Hats, and two Windschief hats out of CashVero, for the Halos of Hope #podcasterthrowdown. A lovely skein of Lollipop Yarn in the colorway Sweet Child o' Mine. You can follow this on twitter and instagram using #podcasterthrowdown. There will be a little something special for anyone who brings a hat for Halos to Stitches West, and bonus swag for preemie hats. Jasmin mentions the JanuaryOne blog. Jasmin worked on her Dark Side of the Moon socks by Fab Funky Fibres. She is also working on GreyBrown Marled socks out of Patons Kroy. We are working on the Head to Toe Book of Preemie Hats, yarn courtesy of Cascade Yarns. We mention the #Behmalong. This weeks German word is Sylvester. We talk about our Annual Do Some More Good Contest, which launched on Thanksgiving. Do some GREATER good on a local, national or global level! We mention some of our favorite Do Some More Good Entries. Gigi wore a gifted cardigan of undocumented provenance, a fun fur shawlette, socks, cowls and the Basic Chic Pulli. Jasmin wore her handspun Ribbi Cardi. Also, her Looped Loop cowl. Genevieve wore her Duck cardigan, and a woven gingham scarf. This week we answer a question from the "What do you want to hear about thread? ", about planning garments for weight gain, and what to do with knits that don't fit anymore. Jasmin mentions the Mondo Cable cardigan, and Hannah Fettig patterns. Gigi was attacked by a Baseball Jersey sleeve. Jasmin had knitted the aforementioned sleeve. Said sleeve attacked her repeatedly. She mentions that patterns with helpful errata in ravelry have a life preserver icon. Assignment for this week is check your stash and unearth/ purchase the yarn/materials for your project. We talk about our favorite holiday movies, we mention The Muppet Christmas Carol , California Raisin and other Claymation Christmas , Die Hard and Die Hard 2 , Love Actually , Elf , and Rent . Gigi shortened a pair of Jeans. And she repaired a Navajo rug that had torn warp threads. Hmmm, I tried using the bar-maids coupon on Jan 2nd (just after midnight, eastern time) but it didn't work. Is it not actually valid through the 5th? I also tried to use it today. I'm listening to the podcast now and I thought it was till the 5th of January? Can you please confirm? Andrew's baseball sweater looks great! I think I was expecting the sleeves to have more of a raglan look, but I like the way they are. And Gigi - thank you for the reminder to dress the body I have. HI! I was interested in Jasmin's theme of "less is more". I am not sure I am ready to make this my year long pursuit, although I have thought about it a lot. A few years ago I read a very intriguing book, titled "The 100 Thing Challenge: How I Got Rid of Almost Everything, Remade My Life, and Regained My Soul". I can't imagine paring my life down to 100 things (what about my needles? my yarn?) but it was interesting and somewhat inspiring to read what this fellow had to say on the subject. *gasp* We finally get to see Andrew! We've only seen his mouth before.